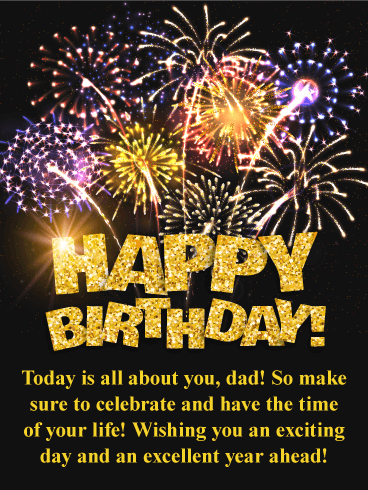 Golden fireworks bursting in the air set the stage for this exciting birthday card that will impress your father! 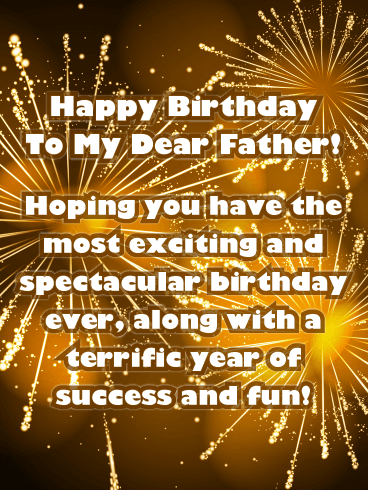 It wishes your dad a spectacular birthday and he is going to love it, especially since it was sent from his child. The message is displayed in front of golden sparkles and it looks magnificent! 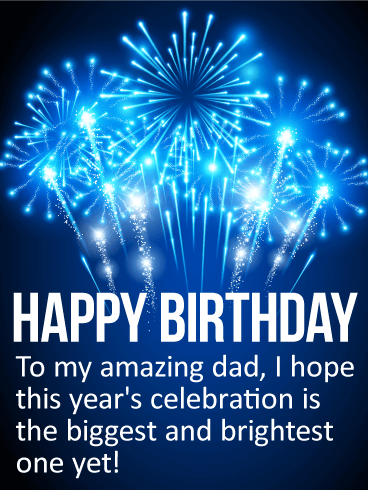 This birthday card will wish your father a happy birthday and a terrific year, so go ahead and send it soon so he can enjoy the fireworks! 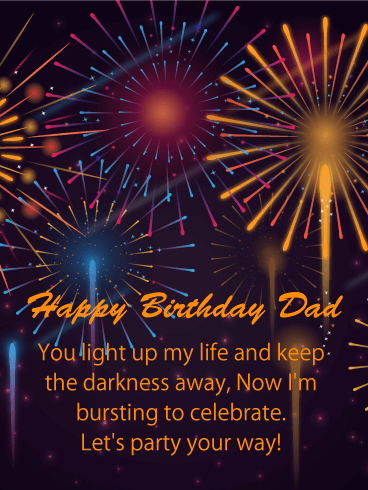 Colorful fireworks bursting in the sky in honor of your father's birthday is a great way to start his special day! 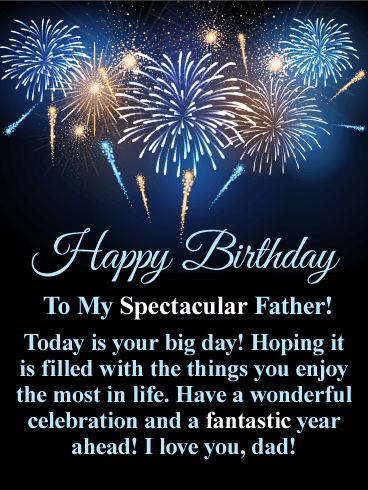 This spectacular birthday card certainly represents the grand occasion at hand, and will have your father looking forward to the birthday festivities of the day! 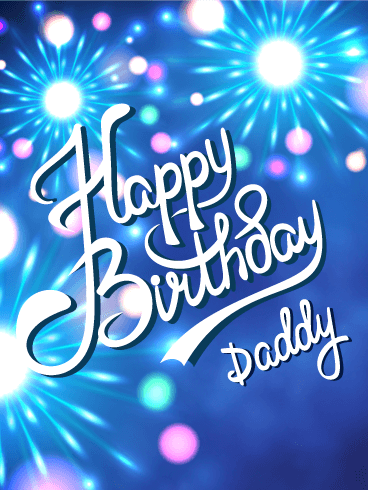 It features sparkling golden letters and glimmering streaks of light, making it an exciting greeting card that your father will enjoy receiving. 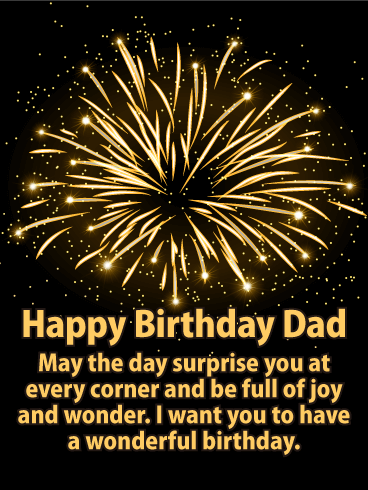 So wish your dad an exciting day with this fabulous birthday card today! 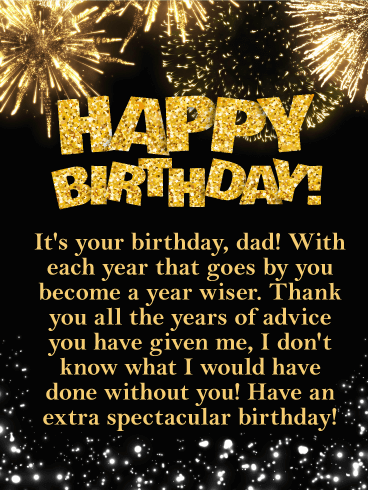 A father as special as yours deserves a birthday celebration to match! That's exactly the sentiment behind this spectacular birthday card. A burst of blue fireworks fill the night sky, capturing the excitement of the day and the anticipation of the year ahead. It's a chance for you to express how much love you have in your heart for the man who you're fortunate enough to call dad! Is your dad the star of his own show? Do you want to celebrate him on his special day? 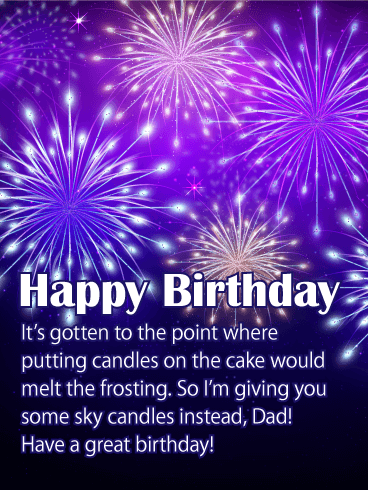 Then send him this bright, glowing Happy Birthday card! The fancy script and shining spotlights will show him that he is the most important person in your life and how much you care about him. 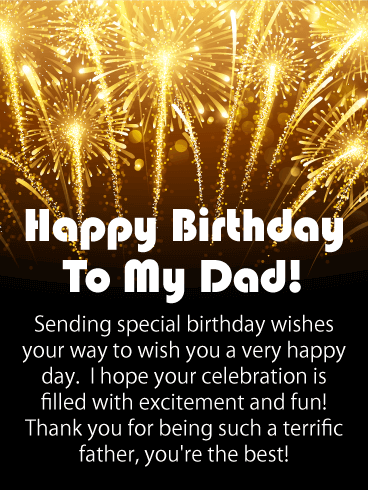 Send this birthday card to help your dad have an amazing birthday today!